Best Fresh Juices promotes general health, boost immunity and prevent or contribute to healing many diseases. Drinking fresh juices help the body absorb all the nutrients from fruits and vegetables. It also allows people to eat a larger portion of very healthy food than they might in the normal diet. 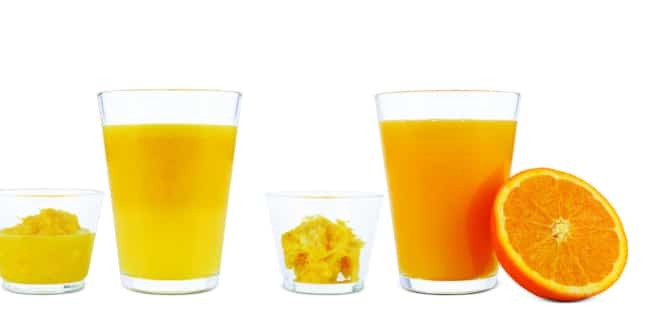 Commercially processed juices don’t have the same nutritional value. That’s why the juice must be prepared fresh, from raw fruits and vegetables. According to Johns Hopkins Medicine, The Juice is forbidden to infants younger than six months. After that, they should drink no more than 4 ounces a day in a cup, not a bottle. Don’t give juice to your baby at bedtime. For a child between 1 and six years, it’s recommended to drink from 8 to 12 ounces daily. These Best Fresh Juices have special therapeutic effects, some of which have been validated by medical studies. The juice of fresh celery is considered an excellent diuretic, due to a significant amount of potassium and sodium. The lemon was already recognized as a fighter with excess weight. That is why a celery and lemons are used and are recommended for weight loss. You may increase the iron in your body with this natural juice. Blend an apple with an equal amount of carrot and beetroot. Drink this juice every day to increase your red blood cells and hemoglobin. Your urine might be red because of beetroot. If that happens, don’t worry because it is completely normal. Tomato juice and other tomato products may help prevent heart disease. Cranberry juice is helpful in preventing and in treating urinary tract infections. 1.Juice: Squeeze one lemon and mix it with a cup of boiling water. Drink 6-12 cups daily. 2. Juice: Mix three dl of carrot juice, one dl of beetroot juice and one dl cucumber juice. 3. Juice: Mix three dl carrot juice and 1.8 dl spinach juice. Note: Drink at least a liter and a half daily. According to Ann Cameron carrots can cure cancer rapidly without chemotherapy, radiation or other dietary changes. She healed her Stage 4 cancer only with carrot juice. She drank 5 pounds of carrot juice daily. Juice from lemongrass, lemon, ginger, watermelon and cucumber may improve digestion. This juice should be used on an empty stomach in the morning. Mix all ingredients in the juicer. Add 250g water. Stir the liquid and serve. Mix in blender two apples, one orange, one lemon and ten celery stalks. Add 200 grams water and blend for 1 minute. Stir the liquid using a spoon to squeeze out the juice. Drink 2-3 juices daily. Pomegranate juice can prevent or slow the growth of prostate cancer. Also drinking 250 ml pomegranate juice daily can improve oxygen supply to the heart muscle, aiding these with coronary disease. For a longer period, this juice may also help people who have erectile dysfunction. In the end, we can conclude that almost any fruit or vegetables may be juiced. Drinking more juices can prevent or contribute to healing many diseases.